The first question someone seeking help for their loved may ask is “Exactly, what is an intervention?”. A drug or alcohol intervention is a deeply involved 2-3 day process where we empower, educate, and change the dynamics within a family, as well as guide a drug or alcohol user into an honest desire to enter treatment. This is perhaps too simple an explanation for a deeply involved, highly structured process. Intervention Services provides comprehensive interventions that are guided by an intervention specialist. We believe that we must help to heal both the addict and the family in order to bring an addict to sobriety. 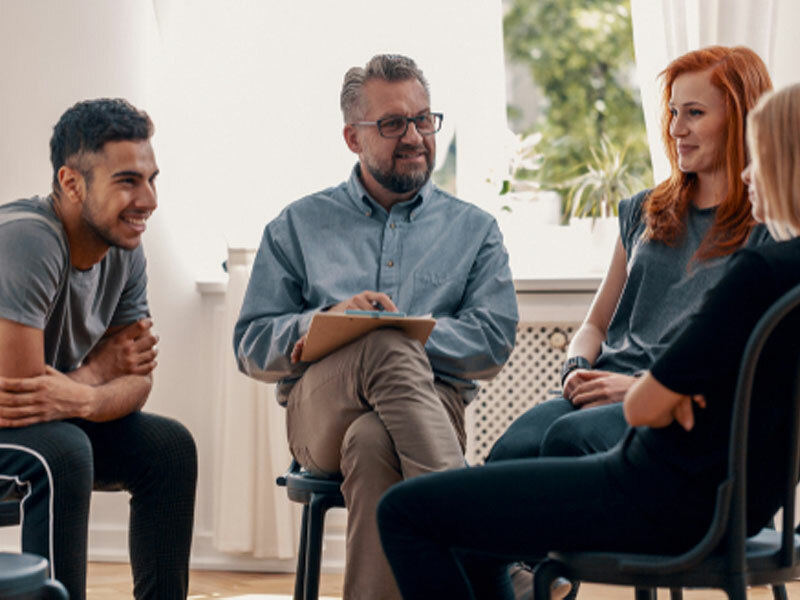 Averaging 6-10 successful interventions per week, we at Intervention Services get approximately 90% of our clients to agree to go into treatment during our interventionist process. What is a S.M.A.R.T. Model of Intervention? Developed by Intervention Services, the S.M.A.R.T. Model of Interventions uses a Family Systemic Model of Intervention but also looks a treatment and recovery as an interlocking series of puzzle pieces that must be put together in just the right way in order to bring about optimal outcomes. Each client is different and Intervention Services tailors our approach to fit your family. This model focuses on working on empowering a family first and seeks to change the dynamics within a family system that have become unhealthy as a result of a member’s un-handled addiction. What is distinct in the Systemic Model’s delivery is the lack of harsh consequences being mentioned in the letter reading phase, instead a loving message is what is delivered in the initial stages. Generally considered the first widely accepted model of intervention, this model differs from the systemic model of intervention primarily in its delivery. The Johnson Model of intervention usually delivers a message of tough love almost at its onset. In other words, the consequences of not accepting help are usually mentioned in the letters being read by family members in the beginning. Considered by many to be the lightest model of intervention, this model stands out due to it’s lack of surprise. In other words, the addict is “invited” on their own time, to attend a family session and talk about their addiction. Although the invitational model of intervention is occasionally used by Intervention Services when the family has no leverage, influence, or enabling present, we feel that putting the control of the intervention in the hands of the addict can often backfire. An Invitational Model of Intervention can sometimes take weeks to deliver and is often much more costly, due to this fact. What is an Intervention About? There are many common misconceptions about a drug or alcohol intervention and its goals. Most people think that an intervention is about “getting someone to go to treatment or rehab”. In actuality, that is the result of a properly delivered intervention, but not the true goal itself. Getting someone to go to treatment isn’t necessarily a difficult thing to do for us. Getting someone into treatment isn’t necessarily a difficult thing for us to do. But if the addict isn’t properly handled through the guidance of a qualified intervention specialist, if the family isn’t empowered enough, then many times you will find yourself with a loved one checking himself out of rehab within days of arrival. The goal of any drug or alcohol intervention should be much more than temporarily convincing them to go. Call (877) 478-4621 now to be connected with a intervention specialist.